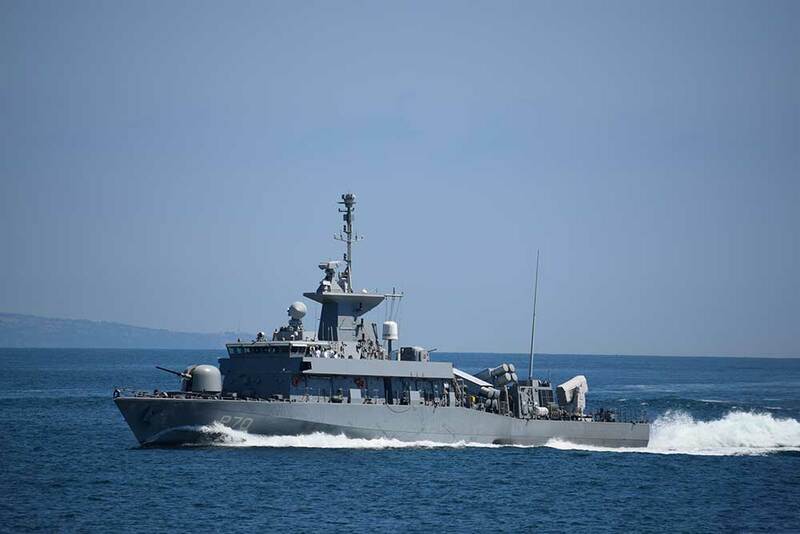 VARNA, Bulgaria (BulgarianMilitary.com) – The project for the purchase of two new patrol boats, which will amount to about BGN 1 billion (with VAT), is advancing slowly as it has recently remained in the shadow of the scandals related to the procedure for the acquisition of new fighters. This became clear yesterday (29th January) after the Chief of the Bulgarian Navy, Rear Admiral Mitko Petev, announced that the deadline for submitting offers by the companies intending to participate has been moved forward and now it is until 16th April. After which an inter-ministerial committee will consider and evaluate them. The deadline change was requested by two of the potential bidders, learned BulgarianMilitary.com. Rear Admiral Mitko Petev stated that thus there would be no formal reason for some companies to decline their participation. The idea for the new patrol boats ​​to be built in Bulgaria is periodically repeated by various government representatives, including the Prime Minister Boyko Borisov and the Defence Minister Krasimir Karakchanov, thus the only Bulgarian company with interest in the project “MTG Dolphin” is being favored. We remind that initially, it was planned a contract to be signed by the end of May, but because of the project’s delay, it probably won’t happen. Its financial framework raises further questions, since the Bulgarian government intends to pay it off for the period of ten years but it is unclear whether the other side will accept such a payment plan. Moreover, the Bulgarian government may be forced to pay for the new combat aircraft much more than the estimated cost, approved by the Parliament, as well as to repay them for fewer years, which is likely to imply changes to the other two major projects related to the modernization of the Bulgarian Army. Unlike the previous one when some of the companies refused to participate in, the RFI of the restarted patrol boats project is translated into English. The deal should be about BGN 1 billion (VAT included), with the first ship scheduled for delivery by the end of December 2023 and the second one by the end of December 2024. The biggest challenge for the project is whether the allocated budget will be enough, given the fact that last year it became clear that even for BGN 820 million, there would be not enough candidates and then the Bulgarian Navy warned that the amount of the project would increase with each day. Now, new options are provided, such as a purchase of a new defence product (modified for the need of the Bulgarian Navy) or licensed production and a combination of developing a new product and modifying an existing one. There is and an option to be bought secondhand patrol ships. The project was almost finalized last year, when it amounted to BGN 820 million, which had to be paid over the next five years. Then, the Bulgarian Defence Ministry sent RFP to seven companies. Four of them replied they could not submit offers and two did not even answer. And the only participant, then, was Bulgarian shipyard “MTG Dolphin”, which at the last moment surprisingly declined to sign a contract. The Bulgaria’s MoD explained that it was due to the reduced cost of the project. Currently, the Bulgarian Navy’s fleet of warships consists of three, which were manufactured in the former Soviet Union, and three Belgian, class E-71, which were acquired second hand in 2005 and 2008. The ships manufactured in the former USSR have serious problems with the maintenance and supply of spare parts. They are not interoperable with NATO standards which makes impossible for them to participate in the Alliance’s collective defence. According to the Ministry of Defence, if they are replaced by two new patrol boats, this will save BGN 7.3 million per year.